Siberia, Samarkand. What's the difference anyway? 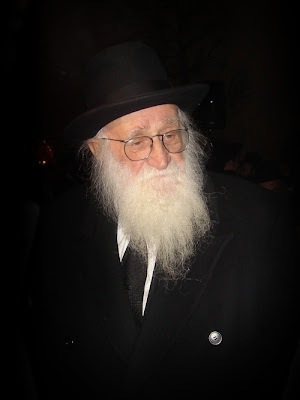 When discussing the passing of Rav Koppelman I mentioned something to the fact that I didn't think that he had spent 5 years in a Siberian Labor Camp like some of the papers had reported. So I said that his Talmdim were probably confusing Siberia with Samarkand, since to may of them it was the same thing. One reader, who says his computer blocks all comments and thus could not see what people were saying about the theory, responded via e-mail. Here is that exchange, or what he said, rather. Nobody was in Siberia for 5 years. (at least not to my knowledge) There were various camps where Jews were sent and some were in Siberia. (I think it was called Podaibo - a gold mine was there among others.. My father a"h was sent to Krasnoyarsk from Vilna... Look at a map,it is north of Mongolia and there was a Russian anti ballistic missile site there... Also read "From Kletzk to Siberia" by Rabbi Alter Pekier, from Artscroll. The Polish Government in exile under Sikorski in 1942 or 1943 made a deal with Stalin to show they were allies after the Nazis attacked and all Polish Nationals were freed from these camps and then they migrated to warmer places like Buchara,Samarkand, Dzhamboul, Merke etc. in Uzbekistan, Kazakhstan etc and tried to survive there. All the Polish Nationals were sent away because they refused to become Russian citizens. In fact,the Russians would not let wives and children of Polish nationals join their husbands to go to Siberia if they were Lithuanian which was then part of Russia. 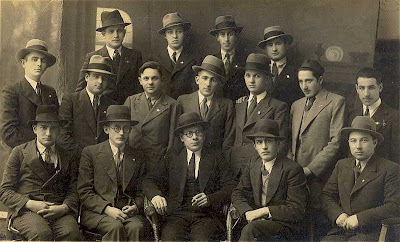 A chosheva rosh yeshiva in Brooklyn's wife and children died at the Nazis because they were Lithuanian citizens and the husband/father was Polish. The father got sent to Krasnoyarsk and survived, and they did not.There was a big Lotto during World War II going on;, which people don't realize. Upstairs was being decided who was going to live or die and the money meant nothing. My computer blocks the comments so I can only read the base story. My mother a"h got sent from Galicia to Kazan, which is on the upper Volga River, up North. As always, if you want to print any of this I am anonymous. There is no way that he got to Samarkand without being sent first to a labor camp.The details are vague but this is based upon that he was in Vilna in 1939-40. 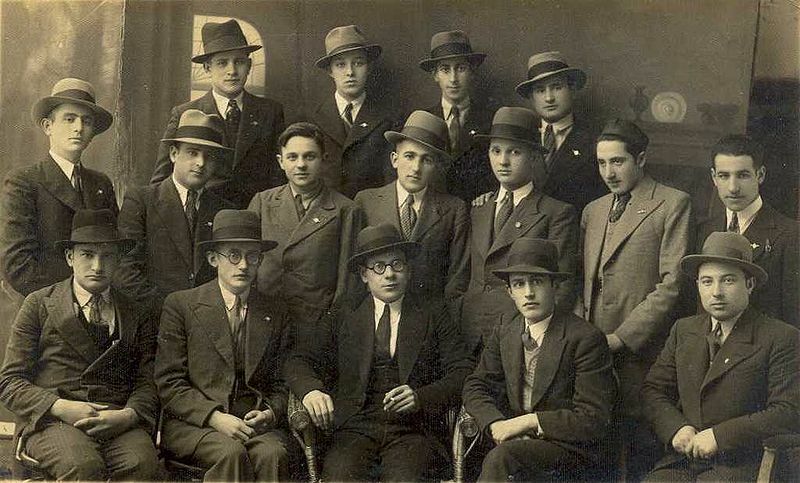 Try to track down what happened to other talmidim of the Grodno Yeshiva in the same time frame. 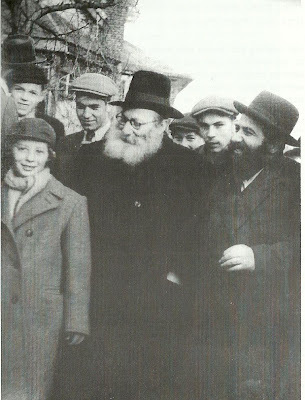 By the way, Rabbi Wenger zt"l from Canada's father, Rabbi Wenger zt"l was in that camp in Krasnoyarsk (From Kletzk to Siberia). Harav Aron Kotler zt"l came to his bar mitzvah in a shul on Pennsylvania Ave and Glenmore. (a housing project stands there now) Rabbi Wenger's father was niftar in the mid 1950's. 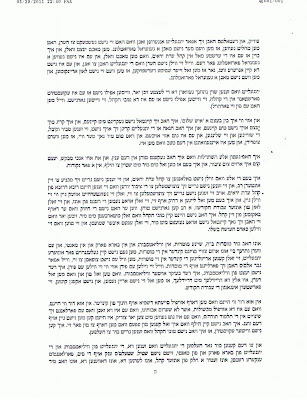 I still don't think that Harav Koppelman went from Vilna to Samarkand right away. I met someone whose father A"H was in Podaibo near Irkutsk in Siberia in WW2. He was from Poland/Galicia. He said they were stuck there until 1945. This agreement with Sikorsk and Stalin which worked in Krasnoyarsk and other places somehow did not apply to that camp. So those there were not released in 1942-1943. I did not know this before. I was zoche to shake his hand many years ago when my father, zgz, took me to some of the Melava Malkas in the old/new Bais Yaakov of BP. That's where I saw some of the other Roshei Yeshiva, including Rav Gifter, z"l. I also remember going to some of the shiurim they had in the Telsher "Shtiebel" in BP, where Reb Chaim would give shiur. I'm not sure if this is all of it or not. 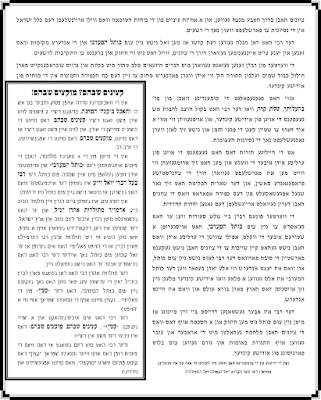 Rav Koppelman not worthy of "coverage"
"ער איז נישט פון אונזערע"
It seems like Chabad sites are not the only ones who got it over the head for not covering Rav Koppelman's passing. Pappenheim from Toldos Aron is cute when he attacks. I was planning on writing, believe me, but then the attacks starting coming, so I decided to pass. That, despite not having much to say. 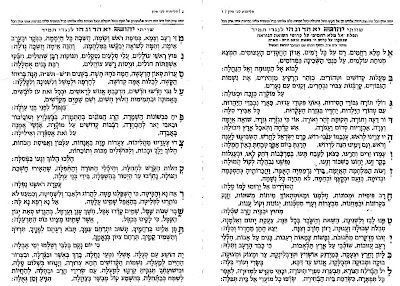 I mean, I knew some bachurim who learned there, and I used to see him in Yagdil Torah Gerrer shtiebel sometimes, but that was it. Now, when I saw this story, I was somewhat relieved. 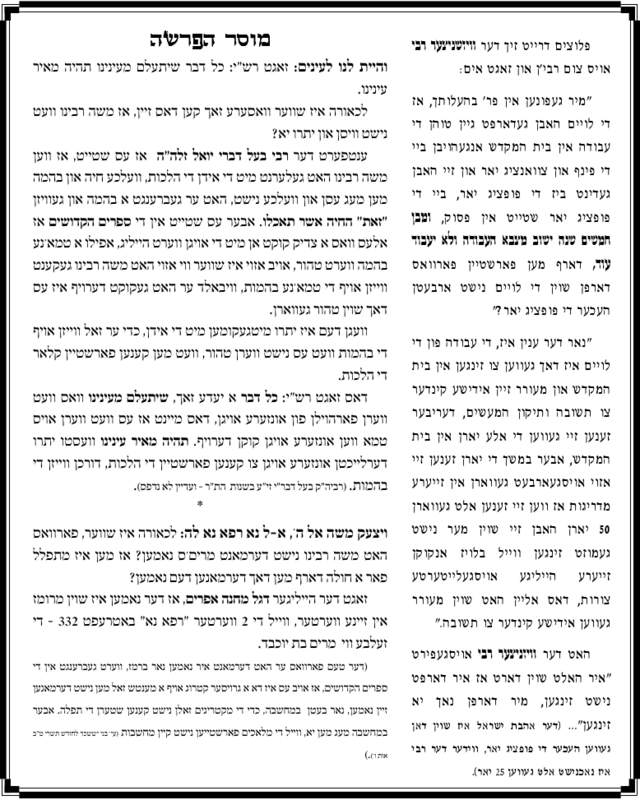 I'm sure "Shea" would never complain about the Israeli Yated's lack of coverage; after all, it was the newspaper started by the Holy Steipler, a paper for true B'nei Torah that have and need Hashkofoh T'Hoyroh. But a website started by a businessman with time on his hands - that has to be condemned. 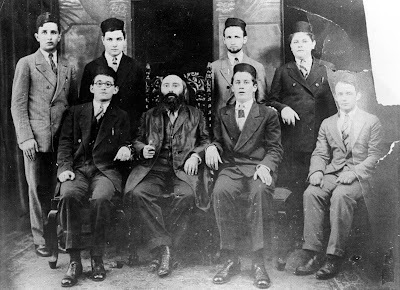 Then, while browsing the Kikar HaShabbat website, I came across a comment That made mention of the fact that the Rosh Yeshivah was helped by Lubavitcher Chassidim while in Samarkand during WW2. Of course they were condemned for "sticking their nose in," and that "RYDK never, ever mentioned Chabad when I was in Yeshivah there, and he was a pure Litvak who davened Ashkenaz, so you Lubabs are a bunch of liars..." So you see? 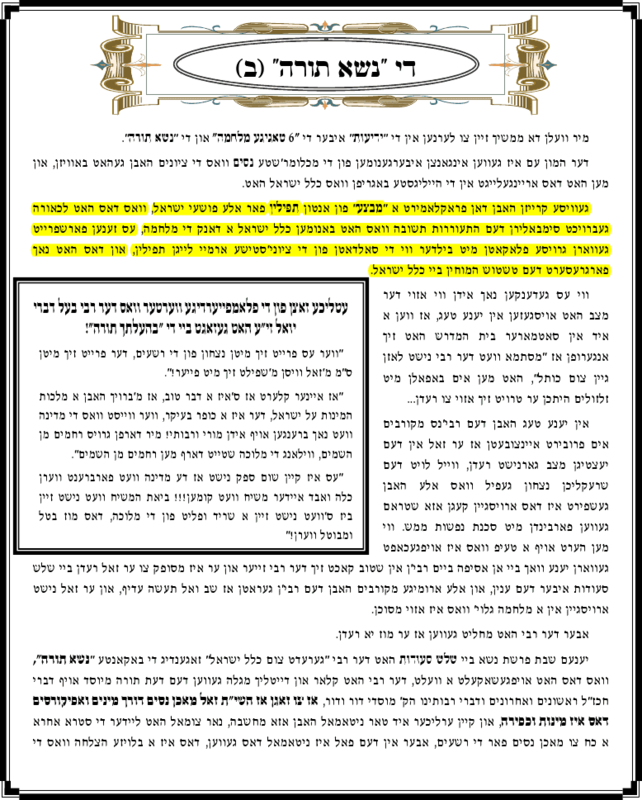 Chabad isn't worthy of having anything to do or anything good to say about the Z'kan Roshei Yeshivos. They may not have any connection to him whatsoever! We never can win, I guess. I believe I saw something about being "banished to Siberia for 5 years" in one of the obituaries, and how he has mesiras nefesh while in Siberia. I'm not sure about this, but I'd be willing to bet at least 5 whole American dollars that his talmidim confused Samarkand with Siberia, and that he was there in Samarkand just like hundreds and thousands of other Yidden. This was no slave-labor deal like in Siberia to which Yidden were sent for "anti-Revolutionary activities." But the legend has already been born and sprouted wings, so there's no turning back. It goes to show you that people are generally clueless about things that don't involve them, whether Lubavitch or otherwise. The current Belzer Rebbe, may he live and be well, reportedly commissioned a Karliner Chossid who's proficient in ניסוח to write this tefilloh for him. 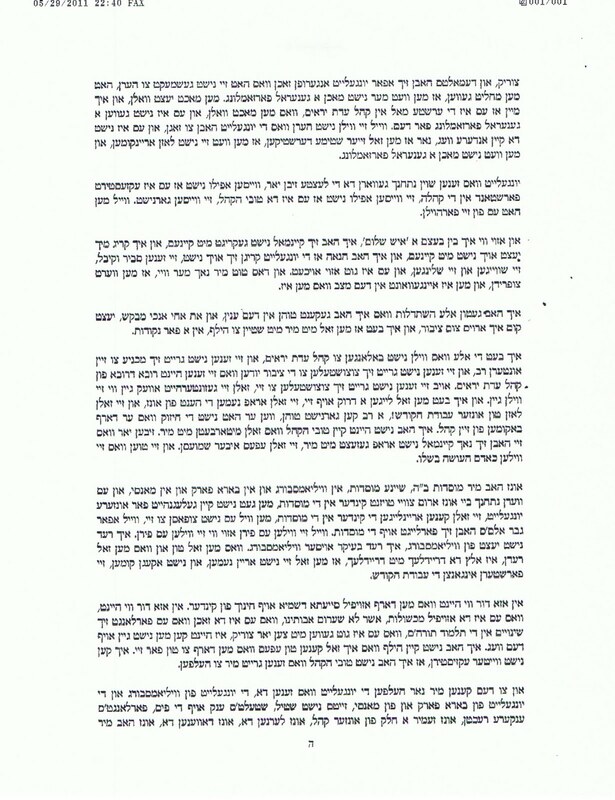 He then proceeded to send word to all Belzer shuls - of which there are many - to say this in davenen today, Chof Sivan, to commemorate the kedoshim of the Holocaust from 5700-5705. 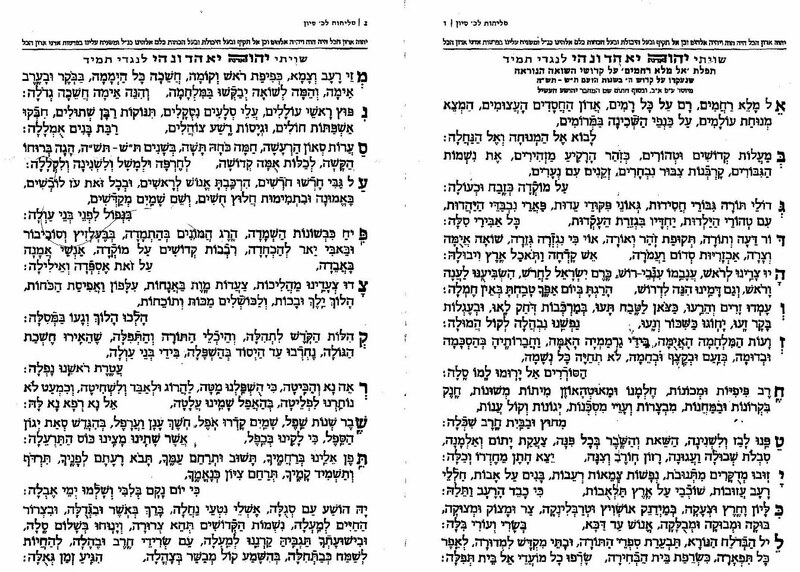 The author's name, Yehoshua Heshel, is supposedly embedded in the tefilloh at the end. 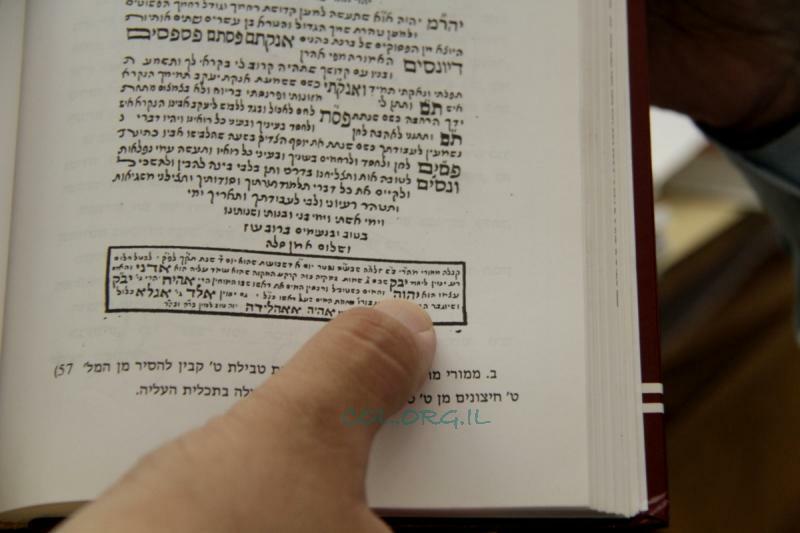 First Edition "Rebbe's Haggodoh" - 1946 for sale on Ebay. Bids start at $200.00 American. 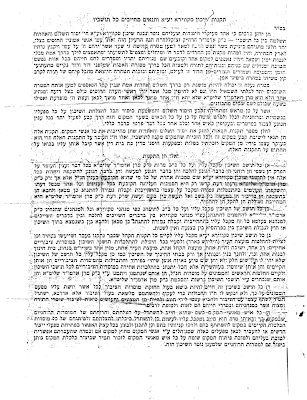 On June 3, 1969 - Corresponding to 17 Sivan 5729, there was a gathering in Crown Heights, in the Chovevei Torah Shul on Eastern Parkway, which thankfully still operates as a shul and Yeshivah until today. 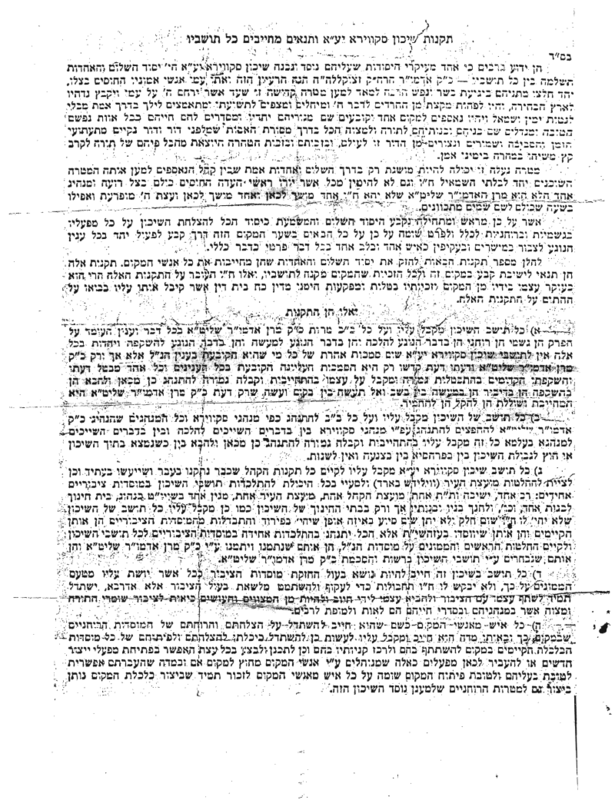 By that time many, if not most of the frum population had fled Crown Heights, but there was still something that could be done to keep the last (non-Lubavitch) remnants from fleeing as well. I guess as a group Bobov comes to mind, although I don't think they were interested. 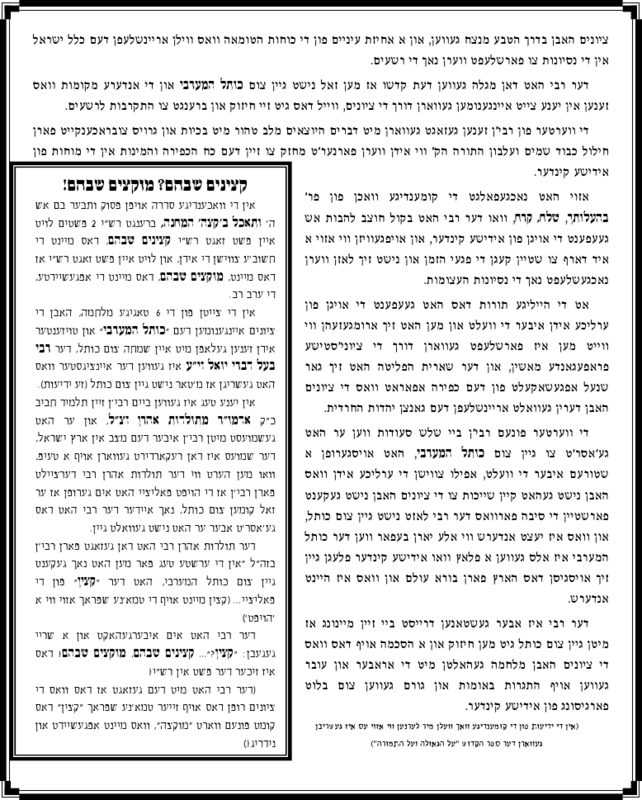 Bobov did not attend, I should say the Bobover Roov didn't attend, maybe some Bobovers attended - despite the fact that the Gaon HaDor attended. The gathering that was recorded and is brought to you here featured speeches - pleas, rather, from the Gaon haRav Moshe Feinstein, zt"l, Harav Simcha Elberg, Rabbi Dovid Hollander, and, yblch"t, Rav Yosef Weinberg. (why I named each one differently I do not know. 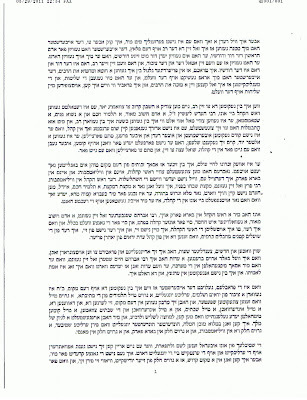 R' Hollander also deserved a "HaRav" before his name.) 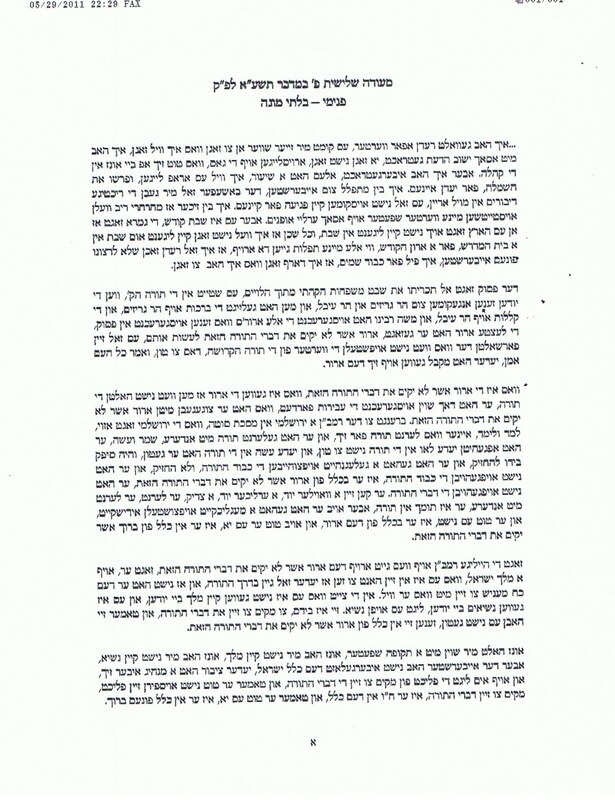 You might say that both Reb Moshe and R' Hollander practiced what he preached by staying in their respective LES and BB neighborhoods, just as the Rebbe stayed in CH. And judging from his speech here it would seem that he believed in the concept of Jews not running away from their neighborhoods. 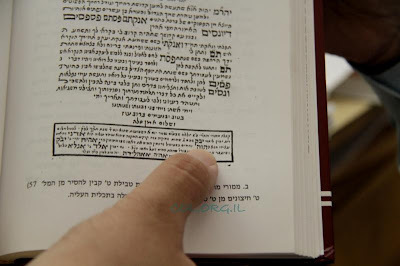 What is this "azus" that the Rashi speaks of? Is it "Azus D'Kedushah" that many groups and sects claim as their own, or is it the old-fashioned "Azus," as in "Dee Azis Poonim, Dee!" that you may have heard from your father, Rebbi, or an older person in shul when you refused to give up your seat for him. Many of our detractors, those who dislike the pure and innocent sould of Hungarian descent, would point to the latter, the Poshete Pshat of azus, but that may be more out of jealousy than of reality. My parents are very fond of the fact that their parents were frum even when others were not - which is after the Holocaust. Not that they weren't frum, but they were a bit lax in some areas of observance. Later on in life, after their children had gone to Yeshives and Bays Yankevs, all was well again, but there was a time that it wasn't. By "others" I mean Peylishe and Galitzyaners - sorry to break it to you. 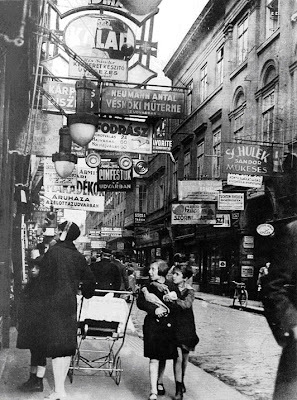 Having said that I can see why the P&Gs would be scornful of the Hungarians, especially if they spoke with that accent that seems to be the only form of Kosher Entertainment. The only way you can get a Heimisher to laugh is by mimicking Hungarians. What's up with that?! So lay off my people; we're tried and true. We keep it real, always have and always will be. 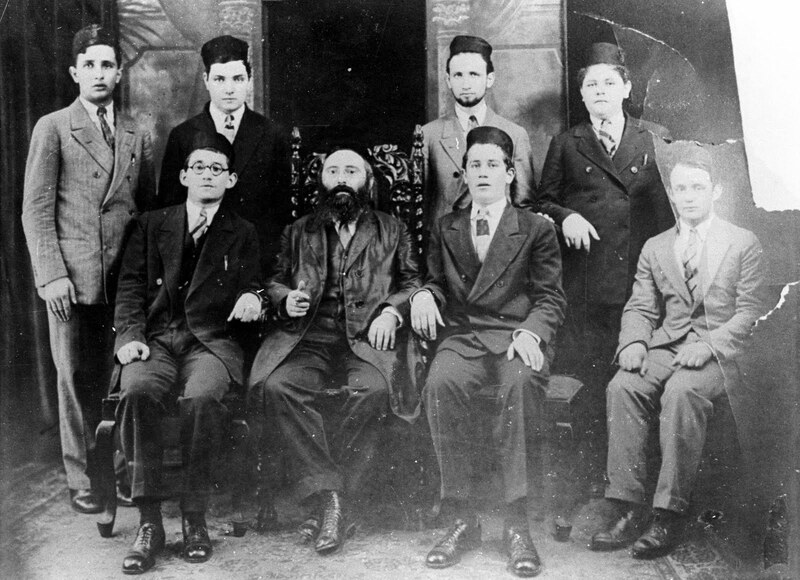 standing L-R; Reb Aron Ben R' Yitzchok Twersky of Skver-Tel Aviv; Reb Yitzchok Yoel Rabinovich of Monestristch; R' Mordechai ben R' Yitzchok Twersky of Skver-Tel Aviv; Reb Boruch Meir ben R' Gedalia Aron Rabinovich of Monestristch. This seems to be some kind of class picture. Ginsberg was apparently their melamed. I guess this picture was taken in New York. 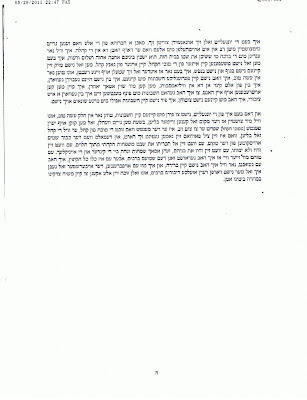 It might bet that you had to be some kind of בנש"ק to attend this class, since even Bergman was Rebbish. He later traveled to the Holy Land and learned in the Chevroner Yeshivah, leaving soon before the Massacre in '29. His later marriage to the Bilker Rov's daughter probably had less to do with his yichus. The Skverrer Rebbe of Tel-Aviv lived in the Bronx before he went up to the Holy Land, which is why his kids are here too. 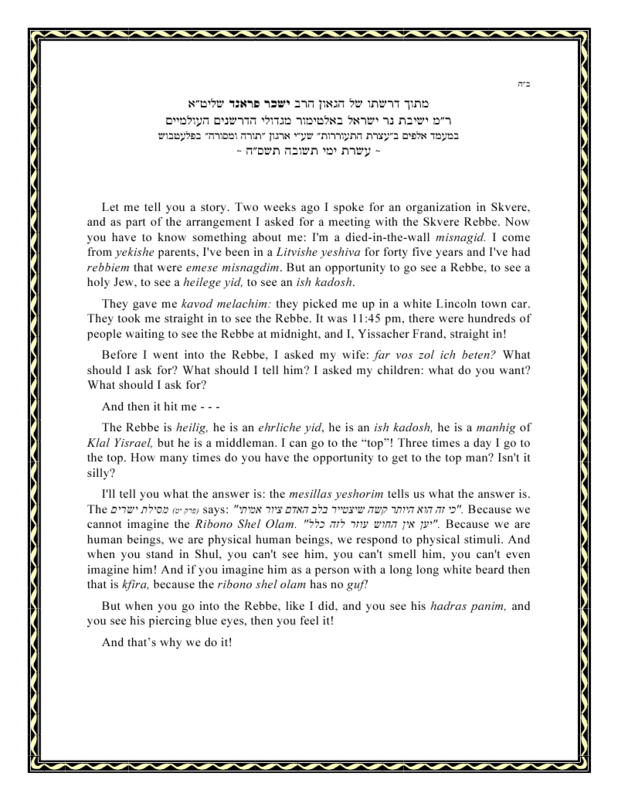 The Rebbe's words are a guiding and shining light for generations, no matter what the dilemma may be. 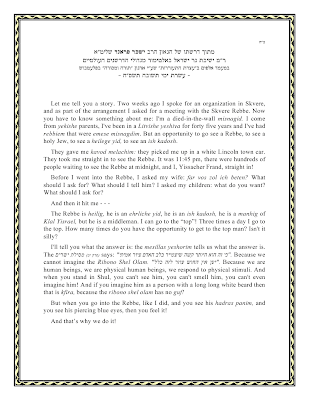 Here it is a lengthy response to a Holocaust survivor asking where G-d was during those terrible years, but it needn't be that. 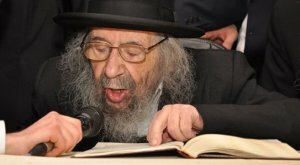 The love and concern for Mr. Wiesel is breathtaking, and we see how Jewish continuity is not just a slogan to the Rebbe, how the Rebbe wants Elie Wiesel the Vizhnitzer Chossid, or even just the Shomer Torah U'Mitzvos, to marry and have kids, and thus revenge the deaths of his family at the hands of Nazis Yms"h. Much time and effort was given to respond to Elie's letter, as is clearly evident. Maybe the letter is translated into English somewhere; if you have info as to the location please forward it to me. Thanks. I remember as a youngster what happened to Rav Menashe Klein, the Baal Mishneh Halochos, when he welcomed his former cellmate in Auschwitz to his home. 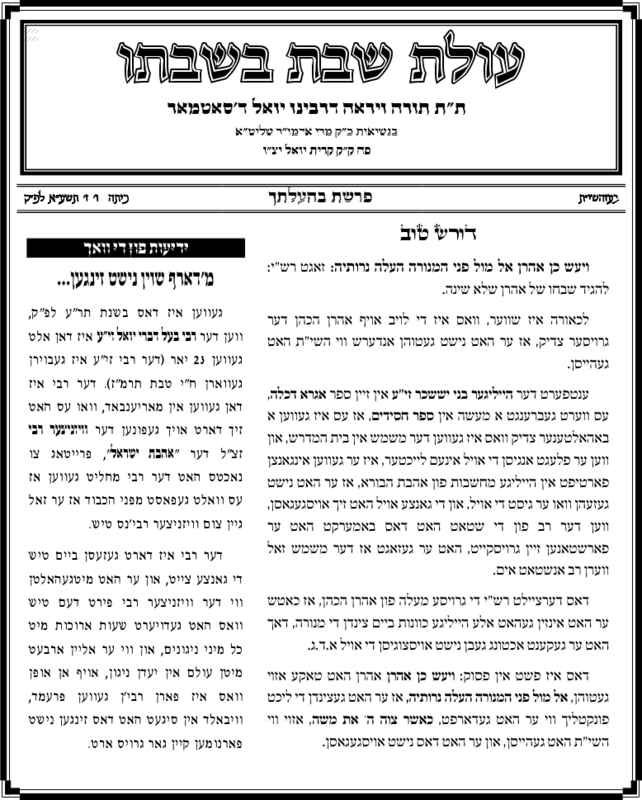 Elie was going to build a huge shul in Rav Klein's new settlement in Ramot 4, Jerusalem, in memory of his father, Shloime Wiesel from Sighet. 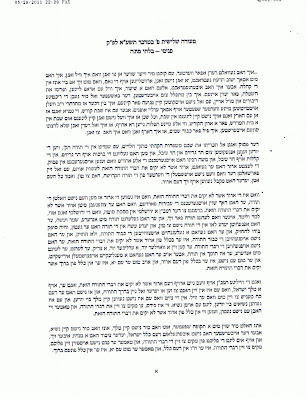 Elie was honored at a dinner for the Ungvarer Mosdos and the zealots went crazy. "מנשה שהעמיד צלם בהיכל" they cried. The proof was all the quotes that Elie had made over the years and all the books he wrote about losing faith in G-d. 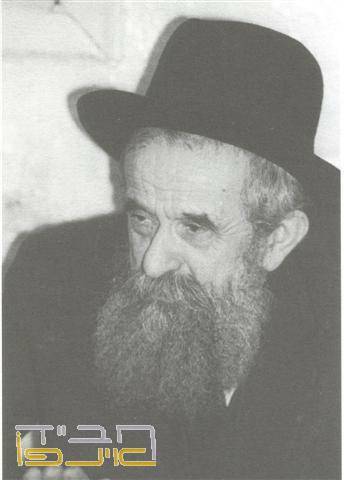 In those days the only one who had no issue with meeting Jews of all stripes - at least in the Charedi world of American Jewry - was Rabbeinu HaKodosh m'Lubavitch, and we know what that did to his stature amongst said Charedim. 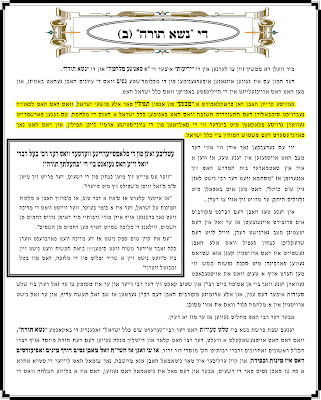 The Rov was pretty holy in my eyes, and I had never seen such language used against Rabbonim until then, so I was taken aback by those claims. You might say that it was very educational for me how far some of these zealots would go to push their agenda. After all, what had he ever done to them? why did they have to berate him like that in published pashkevillen? But now it seems like others have seen that the best way to deal with such issues is to take them head on. The best way is to speak to them like human beings and show them respect, especially men of such great influence. ס'האט זיך עפעס געבראכן דא אין סקווער. דאס אז א חסידישער איד קלאגט אהן בערכאות א רבי צו וועלכע ער פלעגט - כאטש אמאל - אריינגיין צו אים מיט א קוויטל אין געריכט איז גאר א הארבע זאך וואס ס'איז שווער צו משער שיין די תוצאות דערפון. איך גלייב אז מ'קען זאגען אז ס'איז דאס ערשטע מאל וואס אזאנס פאסירט! מ'האט שוין געהערט אז א חסיד זאל אנקלאגן א ספרדי'שען מקובל, אבער אן אייגענעם רבי'ן?! 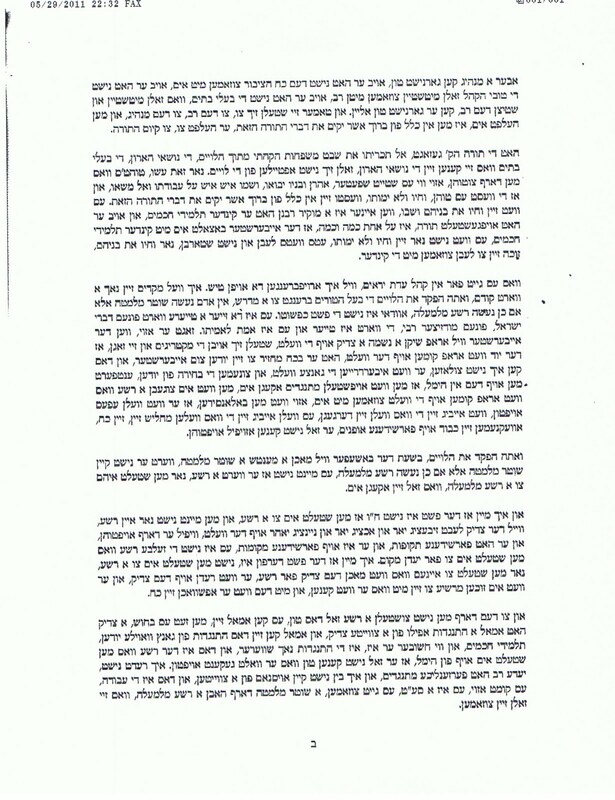 די יונגווארג וועט עס זיכער זייער שאטן, און אפשר גאר די אלטע לייט אויכעט. מ'דארף מתפלל זיין אז ס'זאל נישט זיין קיין שלעכטע תוצאות דערפון. This is several years ago. Vos volt er haynt gezogt?! That's "dyed in the wool," not "died in the wall," silly transcriber. 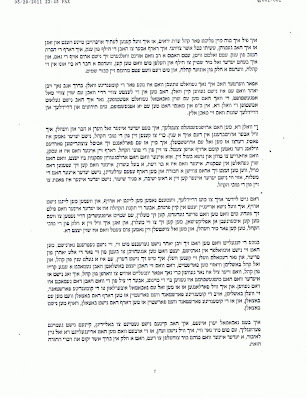 דאס בעסטע באשרייבונג וואס מ'האט נאך אמאל געהערט איבער גאנץ תולדות חסידות סקווירא עלי אדמות אמעריקא, פון "גביר אדיר," וועלכע איז - כנראה - פון די "פצועי סקווירא" און לאזט וויסן פאר'ן חרד'ישען עולם וויזוי עס זעהט דארטן אויס. My friends, we've come a long way. A long, twisted and corrupted way, not a way of accomplishment and progress. After all these years we've gotten to a point where you deserve what you get no matter what. Why? because of your kids, your friends, or where you daven. I think that Skver is totally alone here, nobody else can relate to such tactics for the reason that they do it in Skver. So they're like a Congressman who's in the midst of a major scandal; not even a party member or the head of the Party will stand up for him. This may change once some more encouraging news surfaces, but that may not ever happen. The only thing they can hope for is that people's memory stay short, but even that could be a thing of the past. In this, the day and age of youtube, things stay up forever, even for those who quickly forget. These are fine, frum, upstanding people who are being harassed. 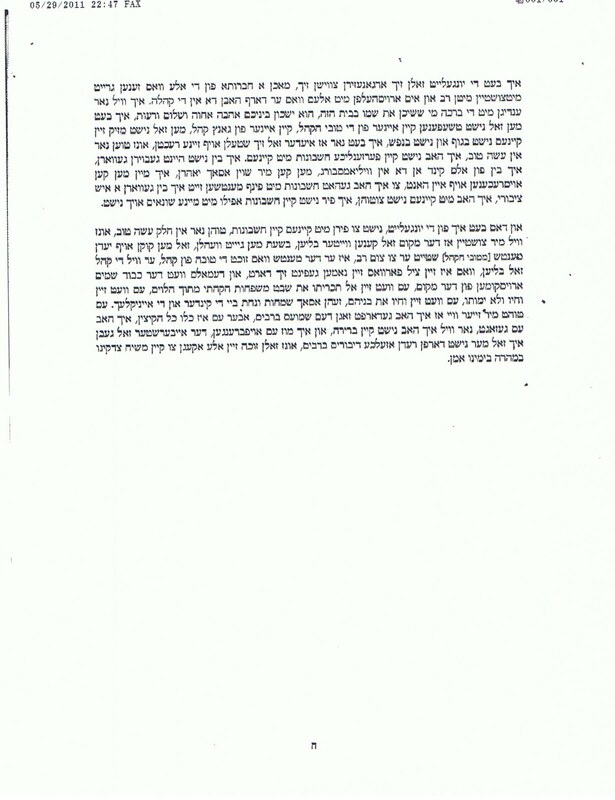 Even in Kiryas Joel, where people have gotten used to unrest, they never do it for those reasons. 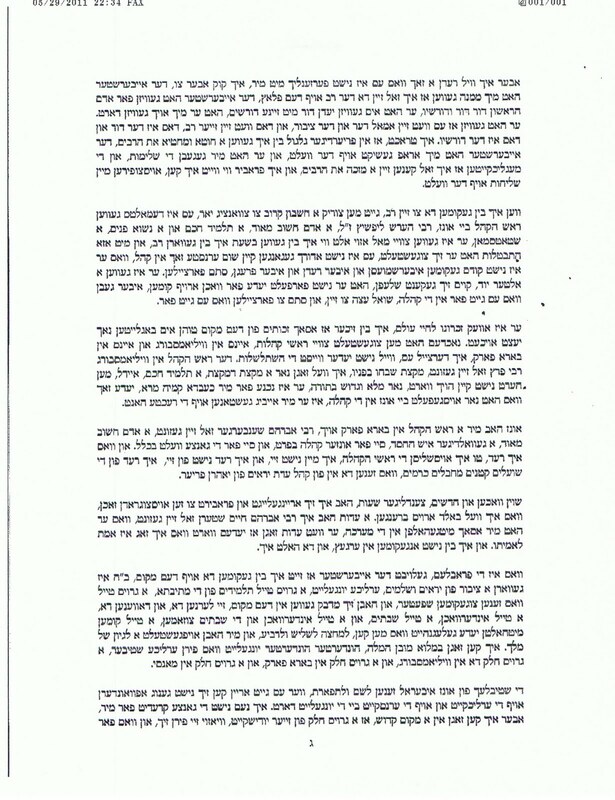 There we hear about two factions, power grabs, and the usual fighting, slashing tires and rock-throwing...(let's leave the Yeled Shashuyim incident out of this conversation for now) Skver has been isolated by this attempt on a family, and may never recover, Ami magazine's attempt not withstanding. People ask me why I don't go on the offensive and attack Skver for the terror. 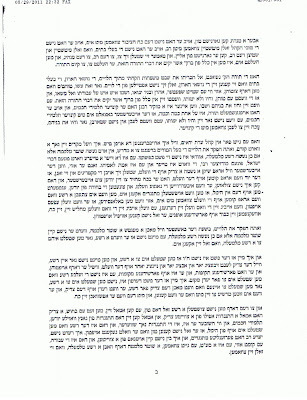 I refrain from writing what is on many people's minds only because of the Yenikas HaChitzonim that is so rampant. Every man with an agenda is dancing on their blood, so I won't join them. זעהט אויס אז אין וויען גייט מען זיך טיילן. 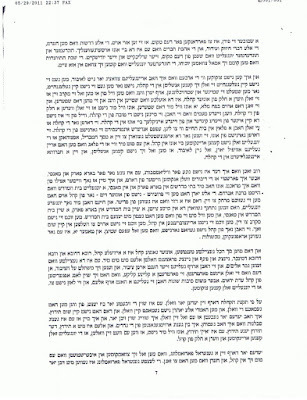 די עלטערע מיטגלידער - וועלכע דער נייער רב איז קיינמאל נישט געפעלן, האבען נישט געלאזט אז דער רב זאל ממנה זיין דער זון זיינער אלץ דיין אינעם קהלה, און דאס האט געבראכן דעם קעמל'ס רוקען, אזוי צו זאגן. דער רב האלט עס מער נישט אויס, ער האט צו שלש סעודות זיך אויסגעגאסן דאס הארץ און געבעטן ברחמים מ'זאל אים העלפן אין די מערכה ארויסווארפן די אלטע און אים געבן א "קארט בלאנש" אויף צו טוהן וואס ער וויל. למעשה קען מען זאגען אז דער שידוך האט נישט עולה יפה געווען שוין פון אהנהייבס. 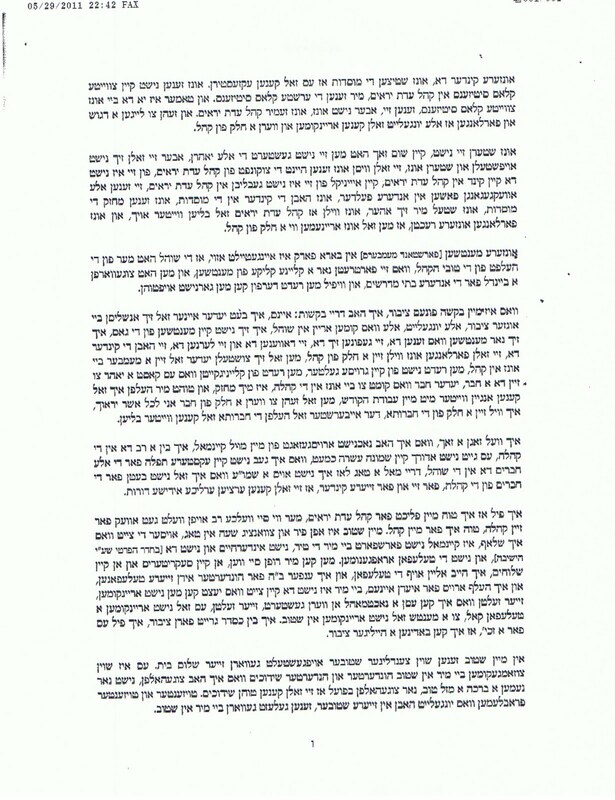 הרב אשר אנשיל כ"ץ, כאטש ער געשטאמט פון אשכנז'ישע אידן און רבנים, האט נישט געהאט קיין שום אינטערעס אין ממשיך זיין מסורת קהל עדת יראים אזוי ווי עס האט זיך געפירט ביז דעמאלט. זעהט אויס אז די ווינער אידן האבען דאס נישט געוואוסט. היינט ווייסן זיי שוין. און היינט ווייסן זיי שוין אויך אז צוריק גייט א קאזע, און אז די זייגער קען מען נישט צוריק רוקען. מ'האט דעם נוסח התפלה שוין געטוישט אין וויליאמסבורג, (און אפשר גאר אין אלע קהלות) און ר' אנשיל כ"ץ איז שוין היינט א פולקאמער "רבי" לכל דבר. 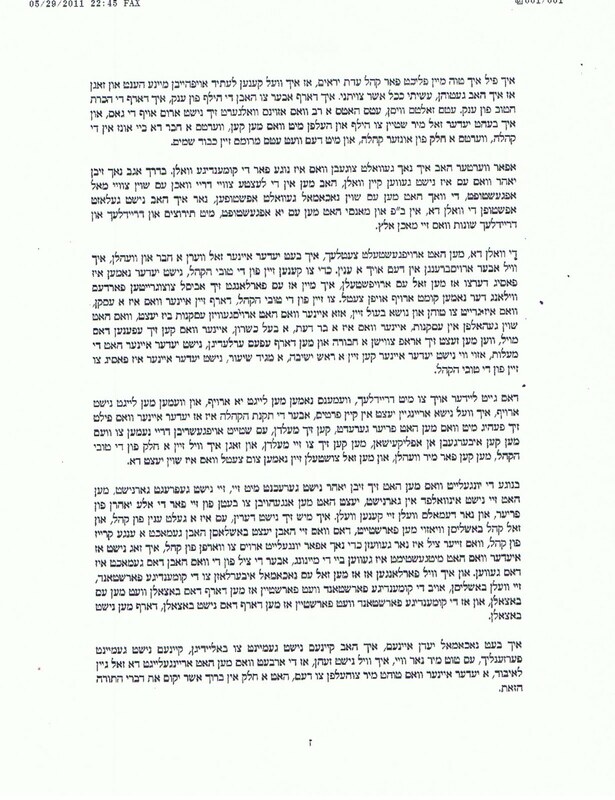 טוט רבי'שע שידוכים און פירט טיש. די "אלטע ווינער" האבען שוין אויסגעוויינט אלע טרערן אויף די חורבן פון זייער באליבטן קהלה, אבער זעהט אויס אז איין "מערכה" האבען זיי נאך אין זיך. 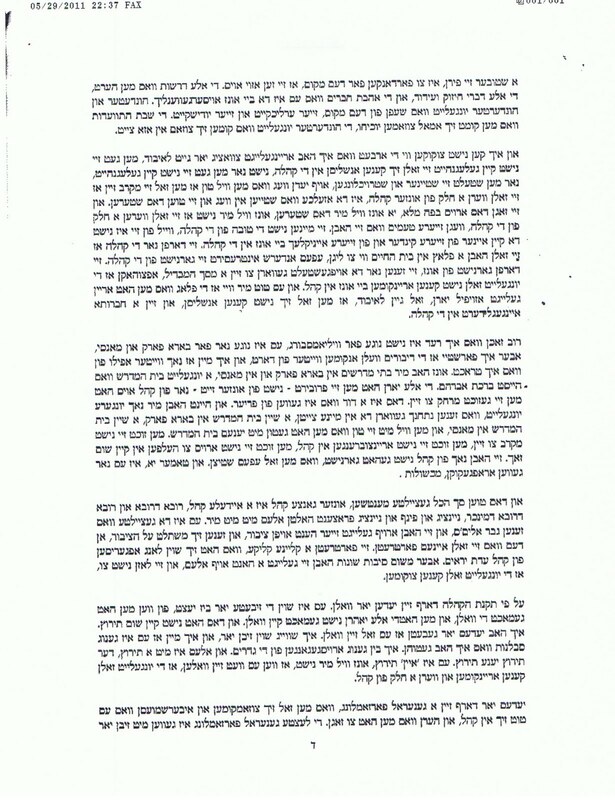 דאס אז מ'האט געטוישט דעם נוסח התפלה און פארמאכט עטליכע פון די מוסדות אין די ערי השדה פון וומסב"ג האט מען נאך געקענט אויסהאלטן, אבער דאס אז ער וויל זיך משתלט זיין אויף די אלע נכסים פון די קהלה און אריינשטעלן די קינדער אין פירערשאפט פאזיציעס, אויף דעם זענען זיי שוין נישט מסכים. די היינטיגע מעמבערשיפ לאזט שוין נישט אז מ'זאל אינגאנצן צוריק רוקן די זייגער, אבער זעהט אויס אז עס גייט נאך אלץ נישט גוט פאר'ן רב שליט"א, ער מוז זיך נאך אלץ בעטן ברחמים אז מ'זאל אים לאזן און "העלפן" טוהן וואס אים געפעלט, ווייל רצונו איז לעשות רצוננו... ס'קען גאר זיין אז די "אלטע ווינער" וועלן מוזן זיך טיילן און עפענען אן אייגענער קהלה ע"פ מסורת אשכנז. 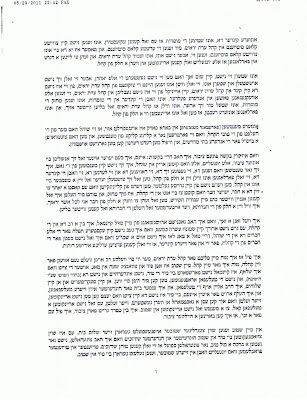 אויס דאס געשעהנט איז קהל עדת יראים אונטער דער פירערשאפט פון הרב כ"ץ אין גרויס געפאר, פינאנציש, און וועט זיך שטארק מוטשען צו האלטן דער רב און די מוסדות אפילו אין דעם פארקלענערטע צושטאנד וואו זיי געפינען זיך יעצט.